Belinda was born into the dog world as my parents have been involved for over 50 years. Starting with the PBAR prefix. I competed in the PAL International Child Handlers in the early 1970's being award 5th place (my sister came 1st) and the following year I achieved 2nd placing. I have grown up amongst numerous breeds including Corgis, Standard Poodles, Afghans and Maltese (just to name a few). After a break from the Dog Show Scene we came back with the LHASA APSO. My daughter Nina has joined in with the family tradition - so the next generation has started. Over the years we have also shown Quarter Horses in the sport of Cutting with great success. Nina has not only shown Dogs and Horses, she has also shown cattle when she was just 9 yrs old. 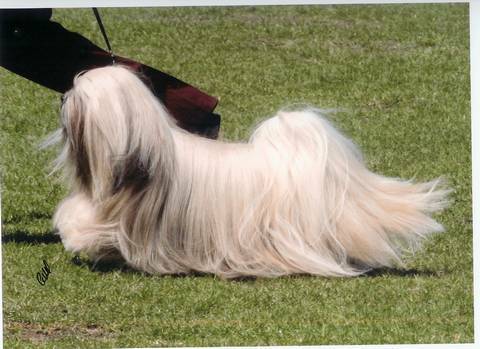 Nina is now the next generation, in a long family history of show dog enthusiasts. Please have a look at our website and hope you enjoy it as much as we do. Also don't forget to sign our guestbook. We are always available to assist in campaigning dogs for others and have handled many breeds for other kennels.